Can I monitor my NextGen (Mirth) Connect installation with PRTG? What steps do I need to take? 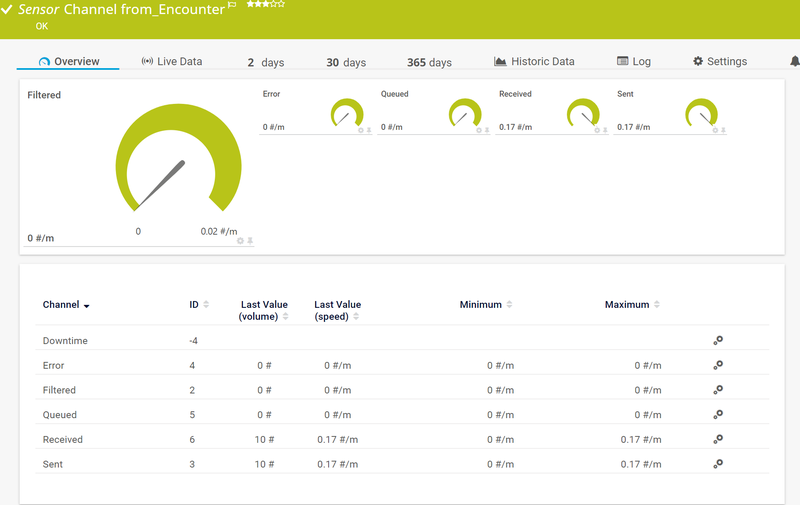 You can monitor your NextGen (Mirth) Connect communication server with the EXE/Script Advanced sensor from PRTG and a custom script. 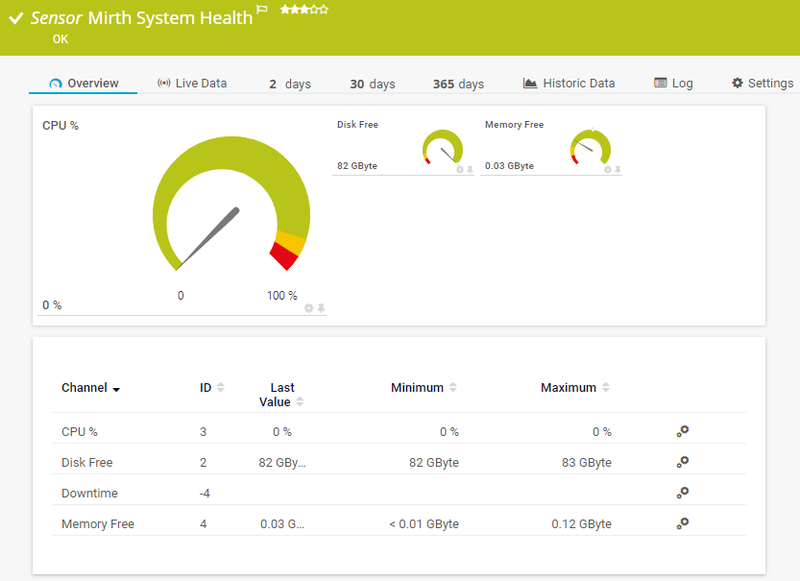 With the custom script, you can create a custom Mirth System Health sensor and a custom Mirth Channel Stats sensor. These sensors allow you to monitor important parameters of the communication server. Create a new device in PRTG with the IP address of the NextGen (Mirth) Connect communication server. We recommend that you use a new device to avoid issues if the Linux credentials change. In the device's settings, enter your NextGen (Mirth) Connect username and password under Credentials for Linux/Solaris/Mac OS (SSH/WBEM) Systems. Note: You can use a custom device template to automatically add the custom Mirth sensors to your device. See Auto-Discovery via Device Template below. 1. Copy the script prtg_mirth.ps1 and save it in the Custom Sensors\EXEXML subfolder of the PRTG program directory. 2. Create a new EXE/Script Advanced sensor. 3. Under EXE/Script select prtg_mirth.ps1. prtg_mirth.ps1 <IP/DNS> <port> <%linuxuser> <%linuxpassword> "system"
5. Replace <IP/DNS>, <port>, <username>, and <password>. 6. Click Create to add the sensor. You can also use a custom device template so that PRTG regularly scans the device and creates sensors for newly added channels from Mirth. Copy the prtg_mirth_template.odt from the PRTG eHealth-NEXTGEN-Connect project on GitLab. In the device's settings, go to section Device Type. Under Sensor Management, select the option Automatic sensor creation using specific device template(s). Select the template NEXTGEN (Mirth) Connect. For debugging purposes, you can also add the -Verbose parameter to enable logging to the console.